Multi award-winning improvised comedy by all-female troupe. 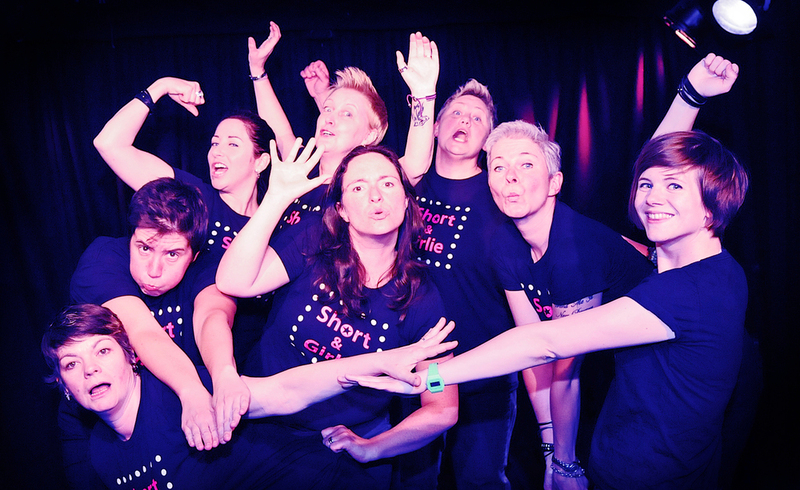 The Short & Girlie Show presents their multi award-winning, all female improvised comedy sketch shows and workshops. Their shows are universal, accessible and laugh-out-loud funny. Every show is improvised, which keeps audiences coming back for more. Songs, sketches and silliness are inspired by suggestions from the audience. Expect unpredictable fun and irreverent hilarity! The Short & Girlie Show will craft a romantic song about how you met your partner, help you work through a tough day with a song just for you, or re-write your favourite fairytale in the style of your choosing. The possibilities are endless. The troupe are part of the LGBQ community and perform regularly at a variety of events including shows, festivals and private parties. Winners of the “Comedy Event of the Year” Ultimate Planet Awards 2014 and L Fest Arts Event 2014, as well as the ShoutOut Radio Listeners Awards “Best Performance Group 2015” The Girlies cannot wait to return to L Fest to perform their show and run improv workshops for kids and adults.